These Cork Boards Are Easy to Display Messages with Plastic Letters for Grooves on the Bulletin Board Surface and Header! 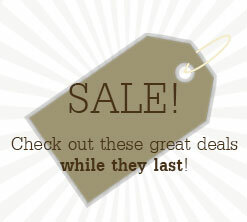 These Cork Boards Are Notice Boards that Ship Quickly When You Buy Online at CorkBoards2Go.com! This cork boards has many attributes. 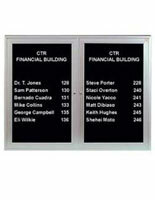 These lobby directories are the ideal cork boards one would want to use in any upscale environment. 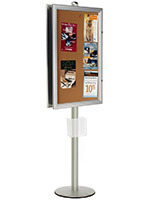 Plus, its satin aluminum trim gives the cork boards a fashionable appearance. 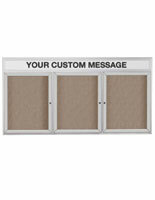 Such cork boards, as the LTSA2436HD letter board or the LTRWM2BLBL enclosed changeable letter boards have shatter resistant window panes to shelter your subject matter. Also, to further shelter, the cork boards come with locks and keys so that only you edit subject matter. 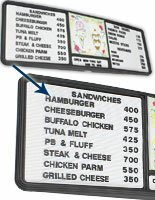 These wall directories, cork boards have a customizable header that will be tailored to say whatever you want. Four corner mounting holes are located on the rear of the display for wall mounting. Please Note: We do not supply the letter board with the essential wall anchors or screws. Unit is for indoor use only. 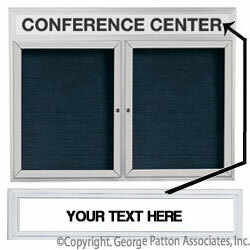 These cork boards, for example lobby directories, or other indoor letter boards, are appealing methods to exhibit information in a public environment. These changeable letter signs, cork boards are usually discovered in churches, hospitals, business offices, banks or schools. Also, cork boards are seen in foyers, lobbies and most entrances. 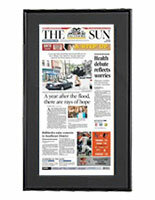 These cork boards promote any message, notice, event, or other information in an upscale fashion.